HOW TO COMMENT: Please Contact Erick Aune, MPO Officer via e-mail at [email protected] or by phone at 505.955.6664. You are welcome to stop by the offices at 500 Market Street in the Railyard above REI. 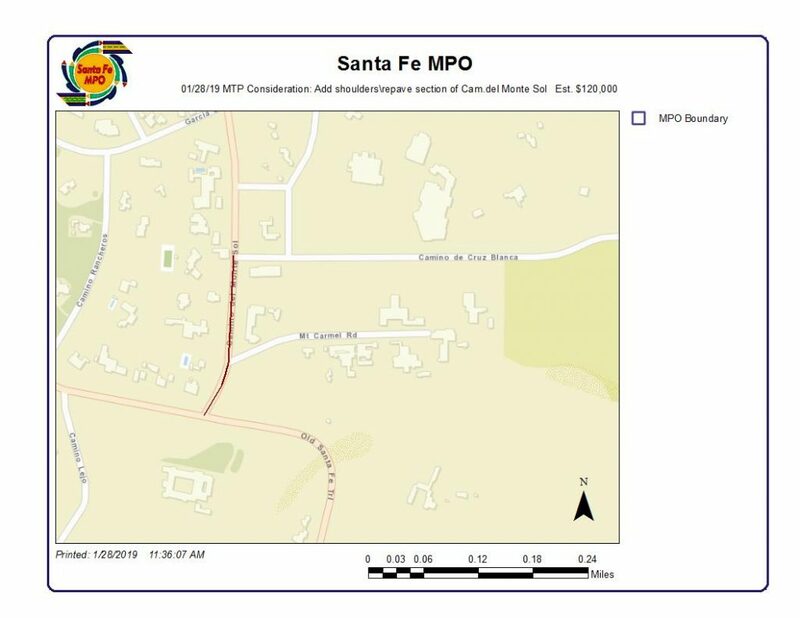 The Santa Fe MPO shall commence steps to update the 2015 – 2040 Metropolitan Transportation Plan (MTP) to begin on March 1st, 2019 and to be concluded by August 30th, 2020. The Santa Fe MPO must prepare and update the Metropolitan Transportation Plan (MTP), in accordance with 49 USC 5303(i), to accomplish the objectives outlined by the MPO, the state, and the public transportation providers with respect to the development of the metropolitan area’s transportation network. The MTP is the official multimodal long‐range transportation plan that is developed and adopted through the metropolitan transportation planning process for an MPO. The MTP addresses a planning horizon of 20 or more years and includes both short and long‐range transportation strategies/actions. The plan must be fiscally constrained to demonstrate consistency between proposed transportation investments and reasonably available sources of revenue (either existing or future). The MTP must be updated at least every five years. Be developed in consultation with all interested parties. Ensure that the planning process and planning work products employ innovative visualization and other public engagement techniques to the maximum extent practicable. Provide interested parties with ample opportunities to offer ideas, suggestions, and other input on both the planning process and the content of any planning products. A schedule for workshops and other meetings shall be developed in consultation with a team selected to support the process to give interested parties opportunities to provide input to the plan. Provide for consultation with Federal, State, and tribal wildlife, land management, and regulatory agencies regarding potential environmental mitigation activities and potential areas to carry out these activities, including activities that may have the greatest potential to restore and maintain the environmental functions affected by the plan. Provide for systematic documentation and archiving of any input received. Ensure that all public information is available in electronic, accessible formats and means, as appropriate, to afford reasonable opportunity for public consideration. Provide for holding all public meetings at convenient, accessible locations and times. 2018 Bikeway and Trail Maps are now available!